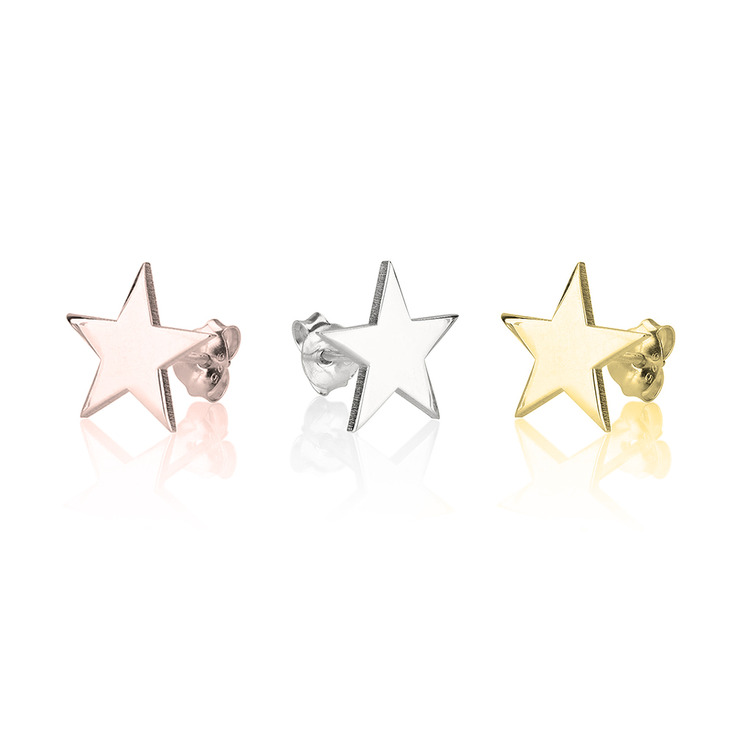 Keep it simple and chic with these unique Star Earrings, an exquisite pair of silver studs you can wear to dress up any look and add a touch of unique glamour. This classic star shape design is crafted from the finest sterling silver 925, and can also be plated in your choice of 24K gold or rose gold, to suit your preference. 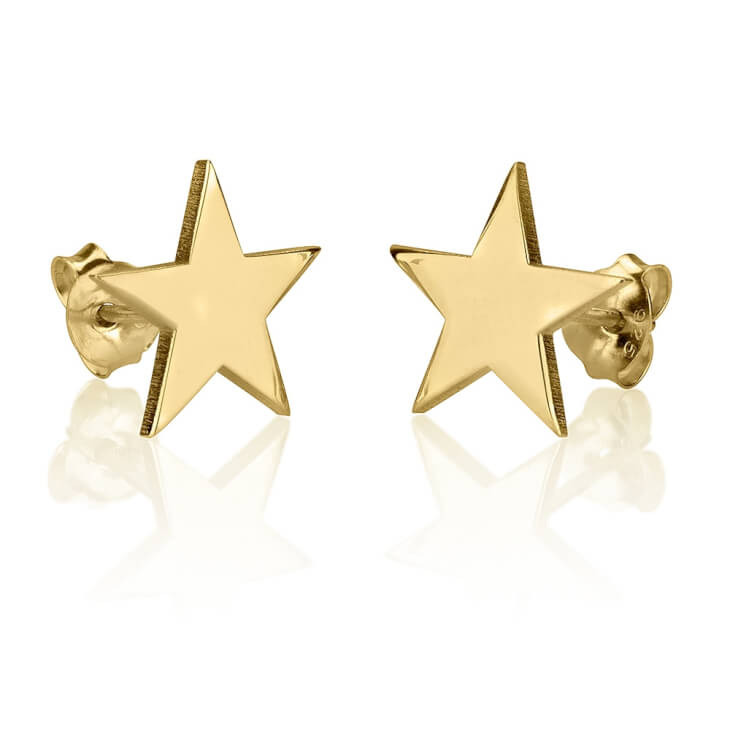 Whether you mix and match these earrings with other star themed accessories, or just wear by themselves, you'll fall in love with the way these one-of-a-kind studs look. 12mm x 11mm / 0.5" x 0.4"